To increase awareness of the dangers posed by cardiovascular diseases, the Singapore Heart Foundation's Go Red for Women campaign returns this year with Pledge Your Heart Walk to encourage women and their families to take active steps towards a heart-healthy lifestyle. 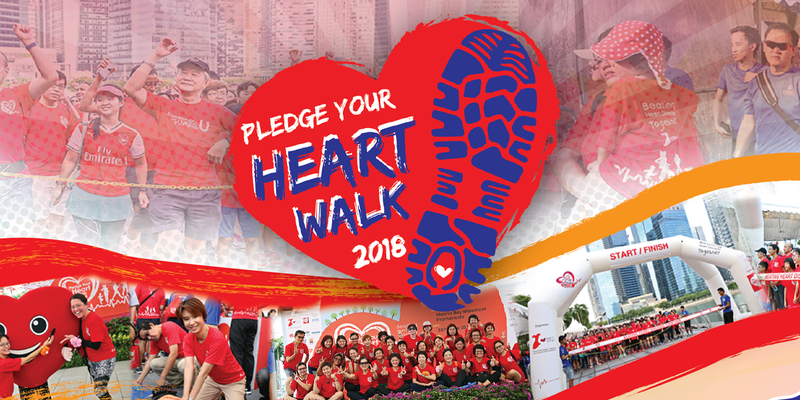 Pledge Your Heart Walk 2018 is a family-friendly 3km and 5.5km walk that aims to shine the spotlight on women, whom are gate-keepers to the family's health and are just as vulnerable as men to suffer from CVD. Participants, both young and the young-at-heart are encouraged to Go Red to honour the women in their life and support them in making their health a priority. Participants can either wear the event pledge tee, jazz up their outfit with red accessories or even wear a red dress!